Syndicating your company’s content can be a great way to attract a new audience, improve brand awareness, and drive more traffic back to your website. To achieve all the goals you’ve set for your syndication strategy, however, you won’t want to republish content on just any site. But how can you assess which sites are worthy of your content? Make sure these six key quality site metrics meet your expectations. For years, PageRank has been one of the most important indicators of a website’s quality. To determine PageRank, the algorithm factors in both the number and quality of the links that point to a website, ultimately giving each website a score. The algorithm gets complicated quickly, however, because the score of each website affects the score of each site it links to, and vice versa. Years ago, Google published the approximate PageRank for each site in its Google Toolbar, helping users quickly assess the value of each site on a scale from zero to 10. Neither the site rankings nor specifics of the algorithm are public knowledge today, but PageRank still has a substantial influence on how Google ranks sites on search engine results pages (SERPs). Websites with the best PageRank typically have numerous high-quality backlinks from reputable websites, clean and logical site architecture, and relevant internal links. As a result, they often appear at the top of SERPs when searching for relevant keywords. In contrast, links from low-quality or spam sites can decrease PageRank and even prevent a website from appearing in search engine results. While Google no longer publishes PageRank for any websites, it’s easy to determine the Domain Authority (DA) for virtually any website. The search engine optimization (SEO) software company Moz developed DA as a sort of replacement for PageRank, making it one of the most important website quality metrics. This metric takes into account proprietary factors like MozTrust and MozRank, which reflect how trustworthy and relevant a website is. Like PageRank, DA, or domain rank, indicates how well a site will typically perform in search engine results. Unlike PageRank, however, DA assesses entire domains rather than pages alone. Since search engines consider both page and domain metrics when ranking search results, DA is helpful for getting a general idea of how a site performs, making this metric essential for assessing syndication sites. You can access domain rank metrics in two different ways. If you’re already a Moz user, check DA using Moz Link Explorer. If you aren’t a customer, download and use MozBar to check domain rank for free as you search. Over time, most websites develop high-quality backlinks, publish content around an SEO strategy, and develop authority. A lengthy domain history can be a sign of quality, as it often indicates that a site is trustworthy and authoritative. If you’re considering partnering with another site for syndication or content publication purposes, you’ll want to look for a site with a clean domain history that doesn’t include any penalties. In some cases, a site can lose its domain history, especially if it changes hands quickly or follows spammy tactics. In fact, if the domain has been registered to numerous different owners during a short period of time, Google may reset the site’s PageRank instead of carrying over any authority it has developed over the years. In contrast, if Google has penalized a site for failing to follow best practices or using black hat SEO techniques, the site may continue to carry a penalty even after a new owner registers the domain. 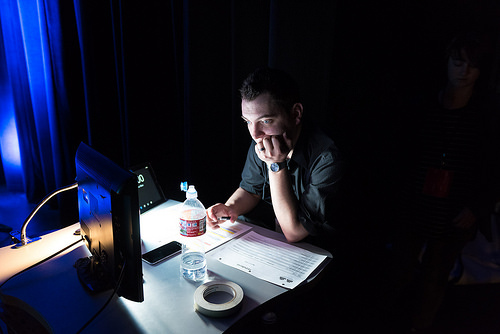 The most valuable and authoritative websites are rarely well-kept secrets. Instead, they tend to generate high levels of traffic and large numbers of visitors. Alexa takes into account the number of unique visitors and the number of page views to determine the traffic rank for a website. Unlike metrics that value a lengthy history over more recent activity, Alexa reviews just the most recent three months of website traffic when determining rank. Since Alexa updates metrics daily, they’re considered highly accurate. To check a domain’s traffic rank, check the Alexa site. You can view individual metrics like global and national popularity, bounce rate, unique visitors, and even audience demographics free of charge. With this data in hand, you can track how a site’s audience changes over time and assess the potential value you’d gain from publishing content on a partner’s domain. Search engines like Google consider a site’s trustworthiness carefully. Google relies on a metric known as trust flow to assess how trustworthy and authoritative a site is, calculating this metric by analyzing the types of sites that link to it. When determining trust flow, search engines consider link quality above all else, rewarding sites that earn high-quality backlinks from authoritative domains. Similarly, topical trust flow indicates how trustworthy a site is in the context of a specific niche. To calculate this metric, search engines pay special attention to the relevance of each backlink’s domain. Although it’s considered just as important as trust flow, citation flow focuses less on quality and more on quantity. In fact, citation flow takes into account how popular a page is by calculating the number of links that point to it. In most cases, the quality of the linking domain doesn’t have an impact on this metric. Instead, it simply indicates how influential the page is, giving more popular pages an extra boost. Rather than existing independently, trust flow and citation flow work together to affect site rank. While an increasing trust flow typically causes citation flow to go up at the same time, citation flow can rise independently, resulting in an imbalanced score. For an optimal score, a website should typically maintain a 1:1 ratio of trust flow to citation flow, prioritizing the quality of backlinks over earning a large volume of irrelevant links. Don’t waste your syndication efforts on any old site. 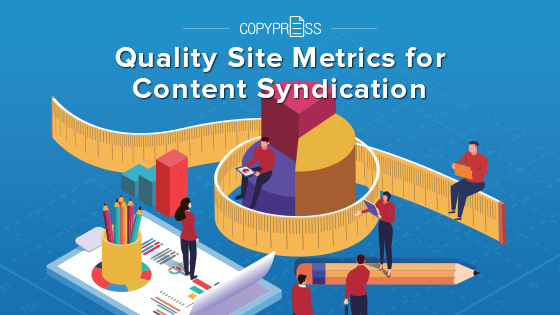 To increase visibility for your brand, get more traction for your content, and achieve a better return on investment (ROI), choose a syndication platform that aces all of these quality site metrics.